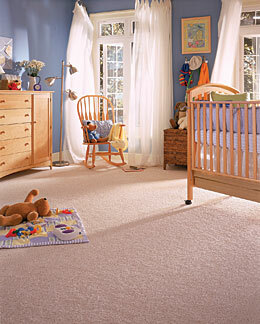 While we love to install all types of floors, carpeting continues to be the most popular choice in the industry. At Classic Carpet & Flooring, we have thousands of styles, colors and constructions to choose from. Sound intimidating? Trust us to simplify matters for you. Our design consultants can help you choose just the right material for your home. Whether it is a high-traffic area, a formal area, or private spaces that require a soft touch, we’ll find the right product and colors at the right price. And even if you choose not to come to our showroom, we can bring you plenty of samples to view, feel and test out in your own home. We’ve built our business on making the process easy for our customers, including our “all questions answered” free shop-at-home appointments. We’ll bring out a variety of carpet for you to choose from. Want more information about carpet? Check out “Carpet 101,” our informative description of the styles and construction of today’s carpet.